Your customers will appreciate the professional-quality bills of lading. Your drivers will appreciate the clear delivery instructions. You’ll appreciate the fact that it all came from a single, easy-to-use application. aSa’s easy-to-use Delivery Ticket tool lets you create professional-quality shipping documentation faster than you can scribble an address. Just about everything you need to create a delivery ticket — customer, job, address, bar list, and material information — is already in your aSa database. 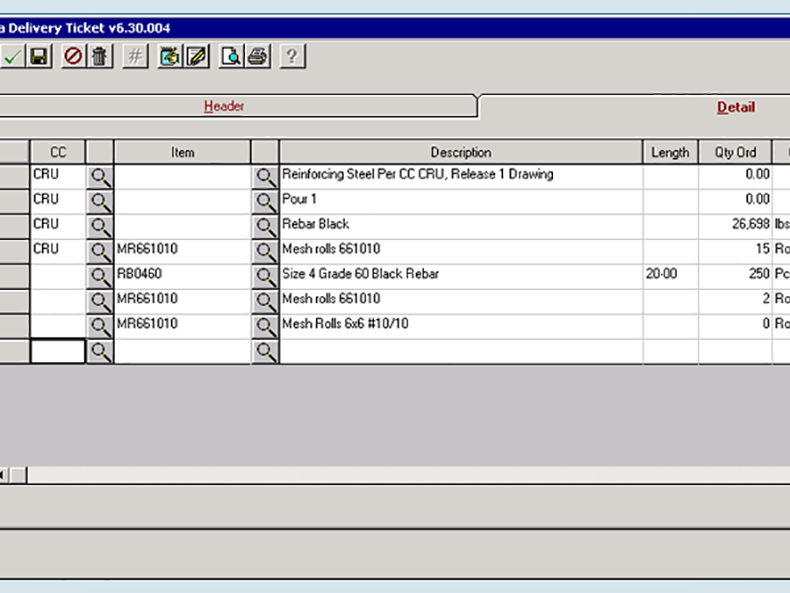 On-screen navigator lists make it easy to find and select your data. Add terms, jobsite directions, even a signature line to verify delivery. Include any message that your drivers or customers need. Save and re-use your notes so you never have to re-type them. aSa Delivery Ticket allows you to create a professional-quality document for each shipment of material that you deliver. Regardless of whether you use the term “bill of lading,” “shipping ticket,” or “manifest,” the end product is the same — a clear listing of what is being shipped, where it goes, and who gets it. aSa gives you the tools to pull all of this information together with minimal effort. 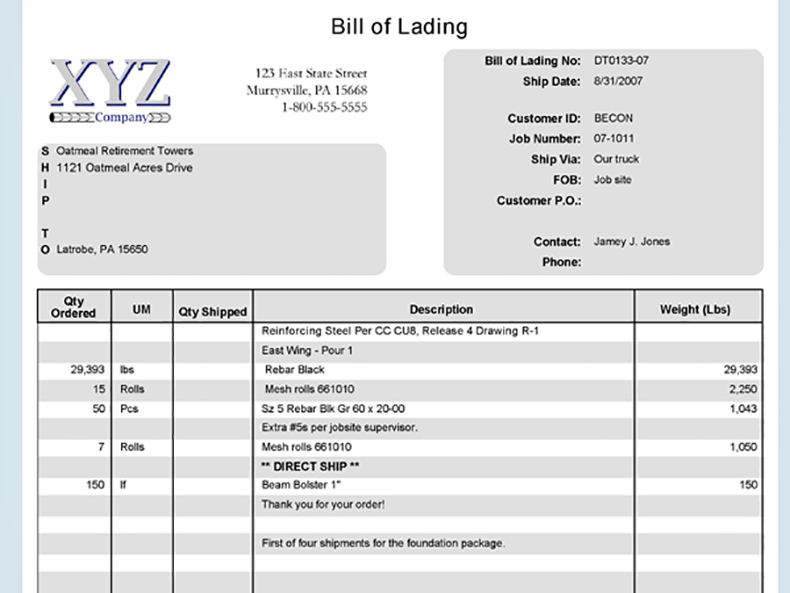 Delivery Ticket is a basic version of the Bill of Lading screen in aSa Rebar Financials. We designed it for companies that require an integrated shipping documentation system, but do not need the full functionality of our entire Rebar Financials suite. aSa has the whole package! Scroll through the screens below to explore just a few of the many benefits of aSa Delivery Ticket. 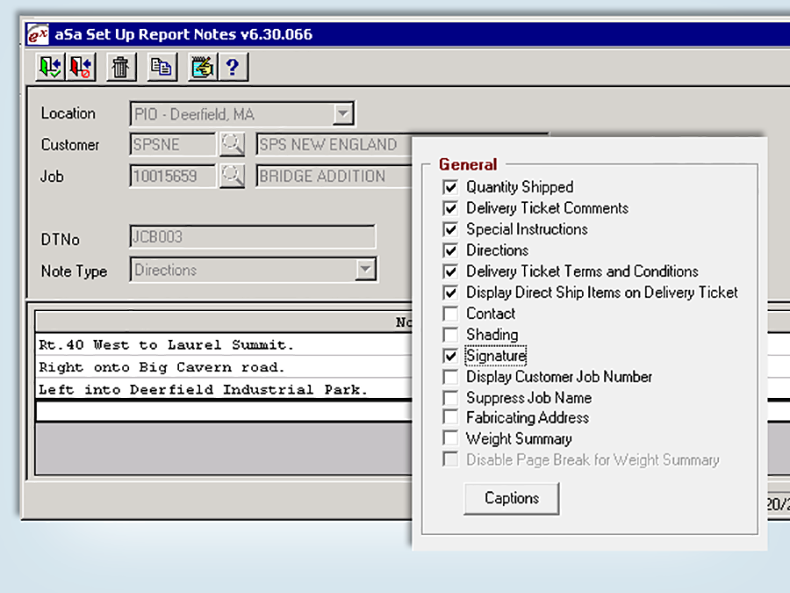 Create clear, consistent shipping documents. 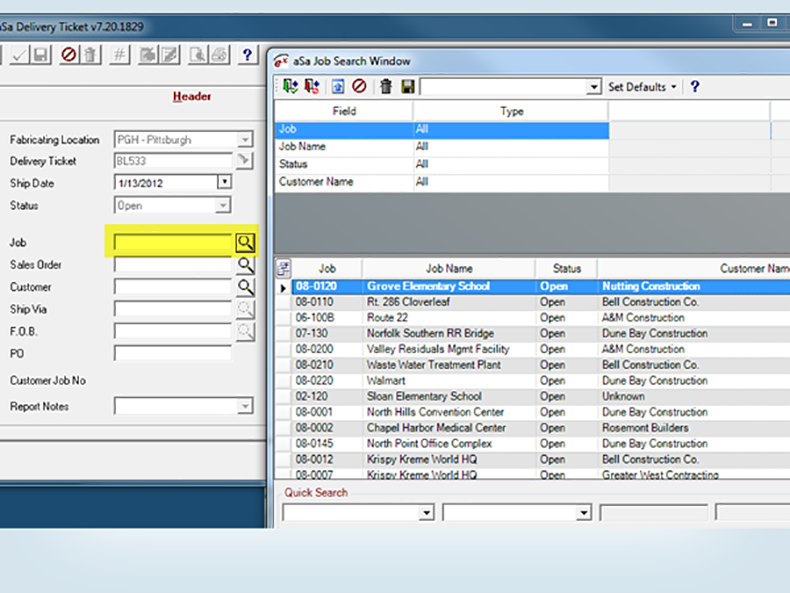 Look up job and customer details -- no duplicate data entry. Easily add bar lists and miscellaneous items to your delivery ticket. Include directions, special instructions, signature line, and more.